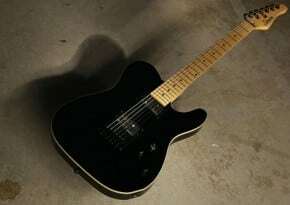 In the years between 1948 and 1954, Leo Fender designed the Telecaster (the world’s first successful mass-produced solidbody electric guitar), the Precision Bass (the world’s first electric bass guitar) and the Stratocaster (for many, the world’s coolest electric guitar). These instruments embodied a design aesthetic that broke radically with tradition. 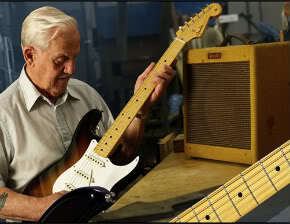 Products of the post-WWII age of mechanization, they were affordable yet elegant tools for the average-income musician. 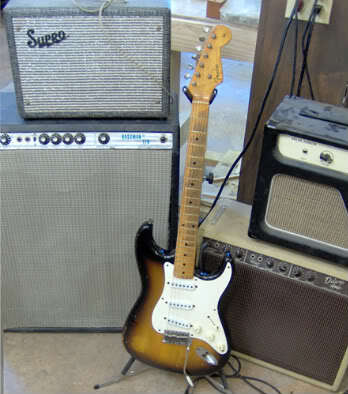 The Tele, P-Bass and Strat, along with Leo Fender’s tube amplifier designs, made their appearance just as a brand new style of music called rock and roll was being formulated. They became and integral part of rock’s sound, and have been taken up by major players from every subsequent rock generation, as well as guitarist in many other musical genres. A down-to-earth and highly industrious man, Fender left behind a prodigious legacy when he succumbed to complications associated with Parkinson’s disease on March 21, 1991. He was laid to rest at Fairhaven Memorial Park in Santa Ana, California.